18.01.2018 | Benoît Vrins and François Lamotte in CMS, Design, Everyday @ work, portfolio, Responsive Web Design. 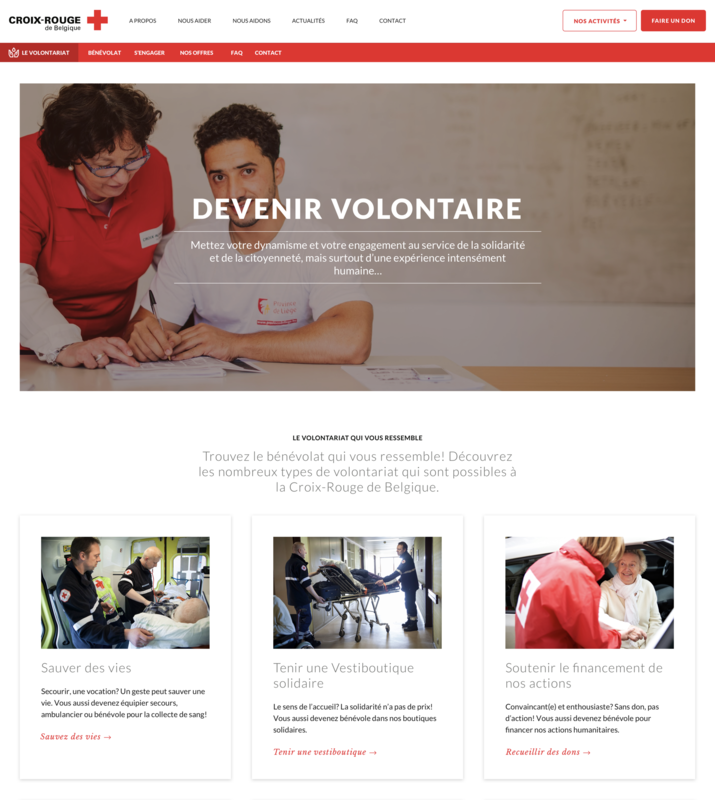 It's a pleasure for the whole team to announce today the release of the new Belgian Red Cross website. 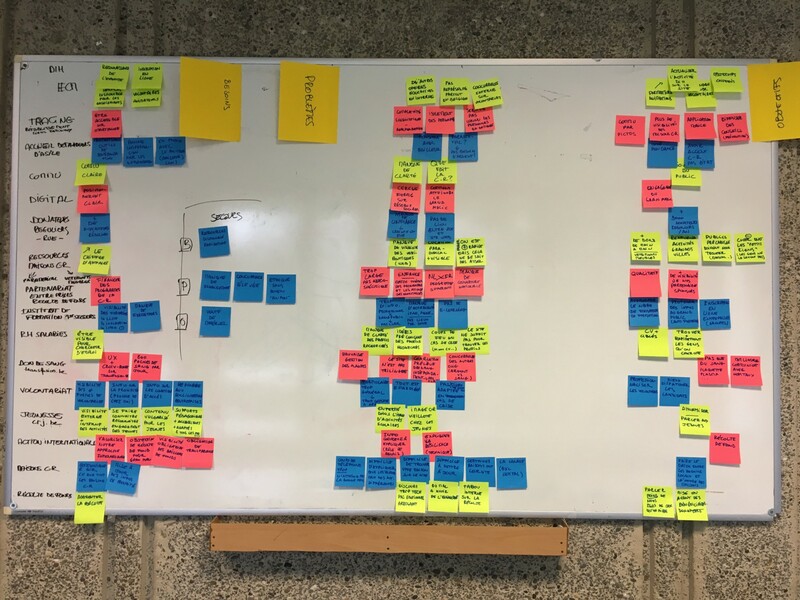 It was an opportunity for Spade to implement several innovative ideas for managing a large project with budgetary constraints in collaboration with Julien Lambé and his Themosis framework. The challenge was huge, back on the essential steps of a revamp like no other. Through workshops conducted by Spade at the Red Cross headquarters in Uccle, representatives of the various Red Cross departments (blood donation, training, international humanitarian law, etc.) were able to express their needs in terms of digital communication. We have applied our Shake!Shake!Shake! methodology which provided a solid foundation for the construction of the future digital platform. 2nd workshop at the Red Cross: what are the audiences of each department? Each department has its own space for expression: a custom homepage, section pages, landing pages for different campaigns and a custom navigation. Each team has its own editorial freedom supported by Sophie and Sandrine from the central team who manages the Red Cross marketing/communication. The classic domain,"www", hosts the "cross-platform" pages that will ensure navigation to all strategic pages. The menu "Activités" provides access to the entire network of sub-websites. Easy to insert realistic textual content to test the future digital platform. The wireframes directly integrate real content which allows early in the process to work with a proven content strategy. The Red Cross has several assets in terms of its brand identity, its logo is of course recognizable internationally. But the Belgian Francophone section also has an impressive media library. Many subjects were covered in photo reportages. It was a real pleasure for the design team at Spade to immerse in it and to propose a graphic approach that emphasizes this internal wealth. We used as much as possible the photos of the Belgian Red Cross internal medial library. Then we provided a CSS styleguide, the idea is that the site could offer a huge variety of content types. 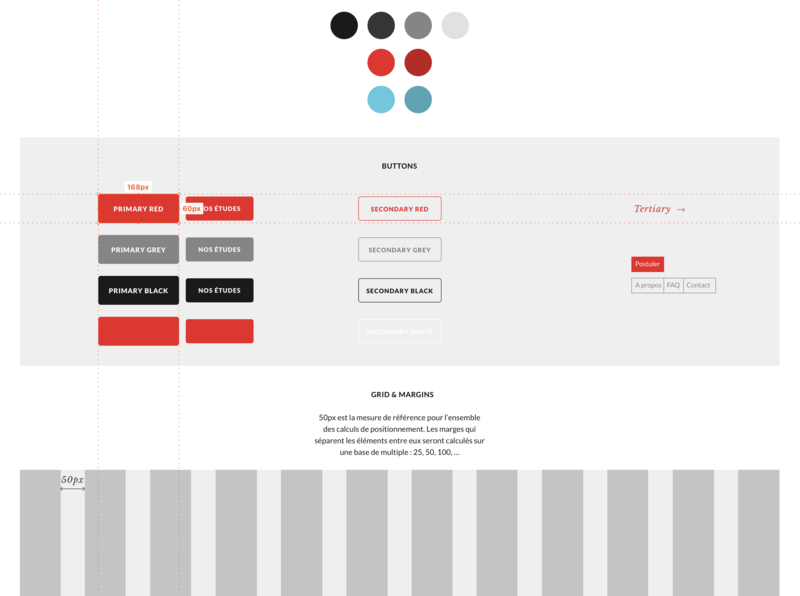 The styleguide lists all the rules set up for the Red Cross website, here are the rules for using buttons, colors and grid positioning of objects in the pages. Themosis is a WordPress development framework that allows to use all the advantages of the world's most popular CMS while extending its functionalities in a long-term management. 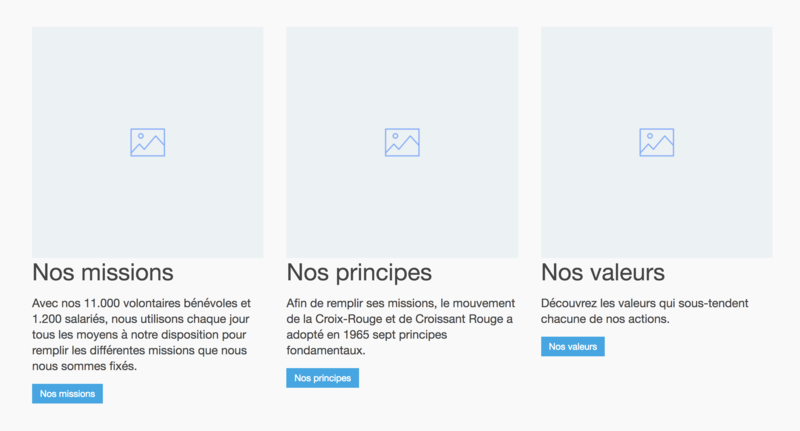 We worked directly with the Belgian creator, Julien Lambé, to set up a flexible content management tool (We will return in a second article on the philosophy developed with Julien and the technical architecture he designed). 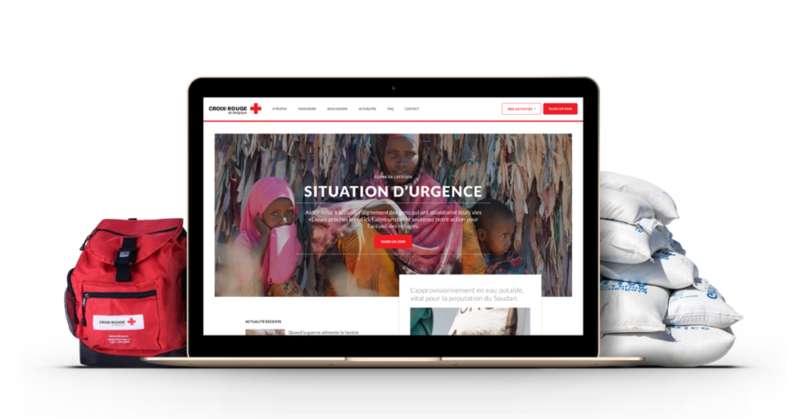 There were several challenges such as the integration of 2 Red Cross services available as an API or the management of resources to be shared between different sites in the configured WordPress network. Within WordPress, each page has its own "builder" to guarantee a great flexibility in the contentl management of the website. The students of BeCode school will have been a useful help for the encoding of many contents managed by Sophie﻿. A good year of work will have been necessary to go along the different phases of this website redesign work. Various highlights stamped the project and several difficulties were overcome to deliver this project. In the end, we would like to thank all the participants for their enthusiasm, good will and sometimes the patience they have shown to achieve this beautiful project.